Over the week of November 26-30, 2012, Circle Dance (2010) by American conceptual artist Tom Friedman arrives at Brown University. Based on Henri Matisse’s painting La Danse, the stainless steel sculpture (made from a cast of a model made with aluminum roasting tins) will be installed on “The Walk” between Angell and Waterman Streets. 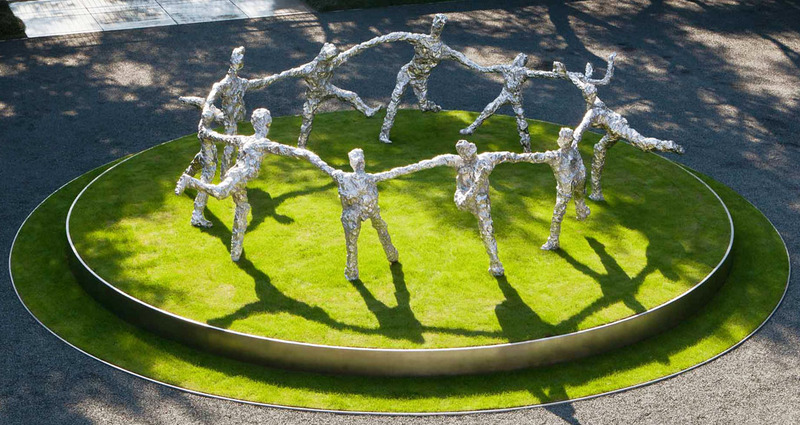 The newest addition to the public art collection of Brown University, Circle Dance will be both at the focal point of the physical landscape of the university as well as a focal point for campus life. The installation will be formally launched with an artist lecture by Tom Friedman at Brown University on December 5, 2012.